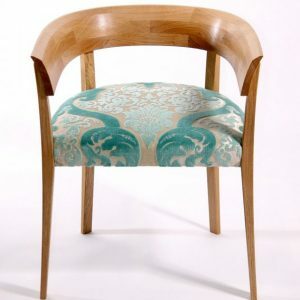 Description: This piece was originally designed and made to measure for my wife. 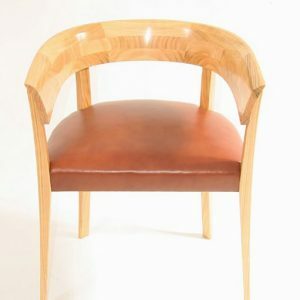 She suffers from a lower back injury so it was imperative to get the shape and height of the back spot on. 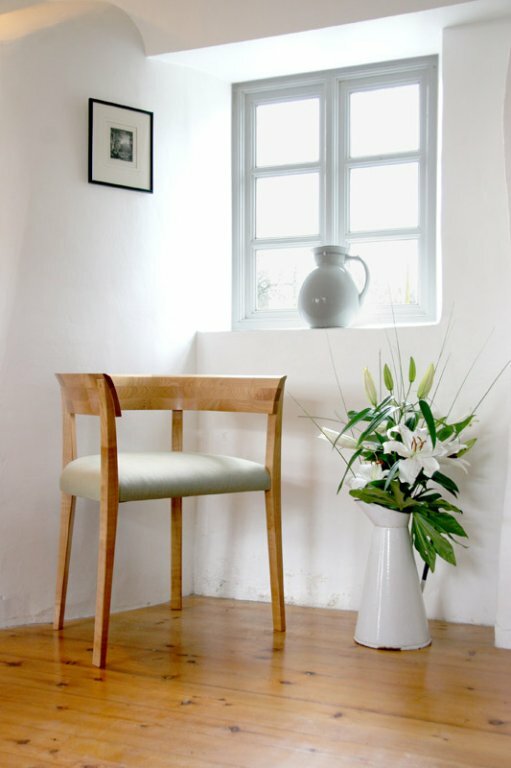 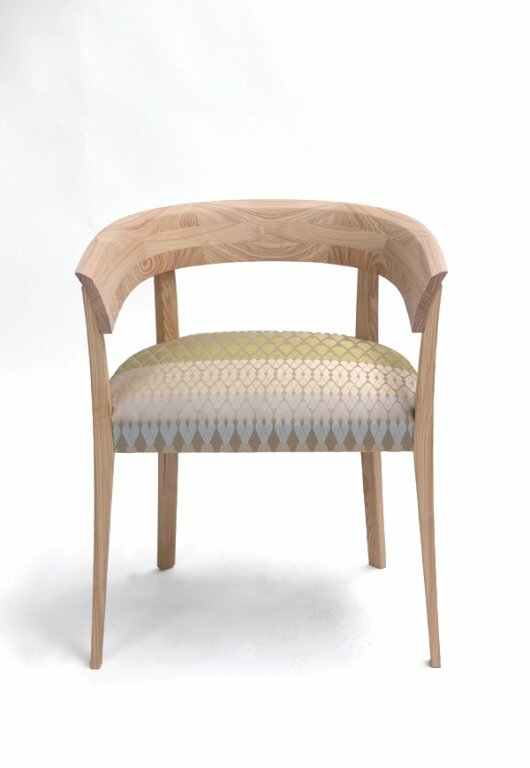 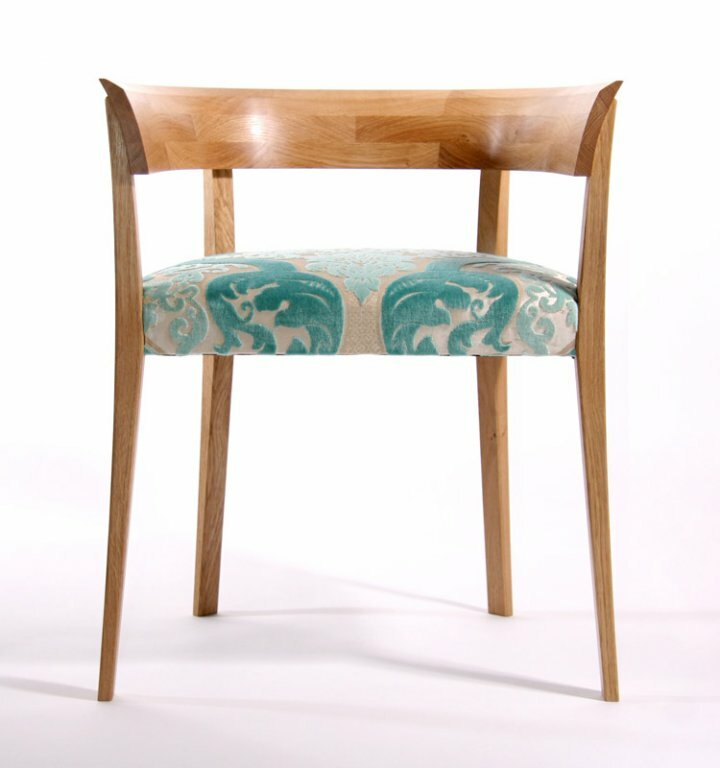 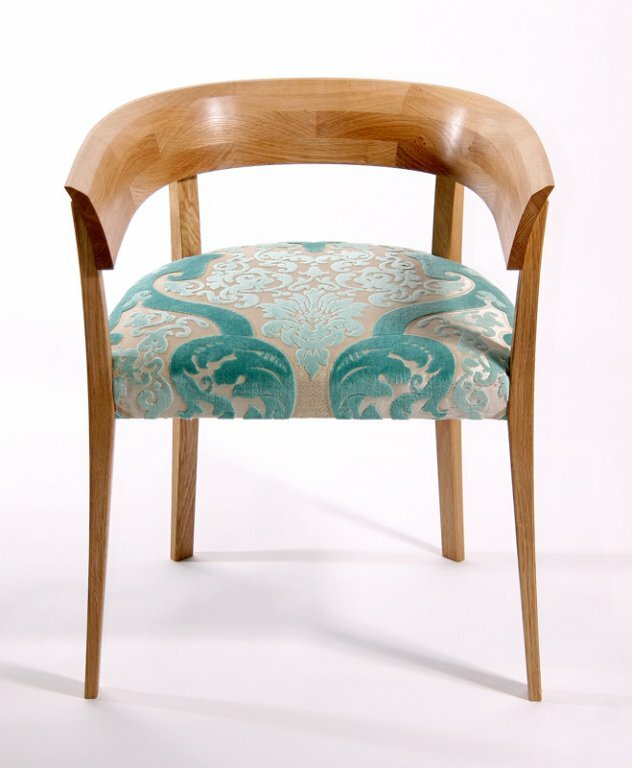 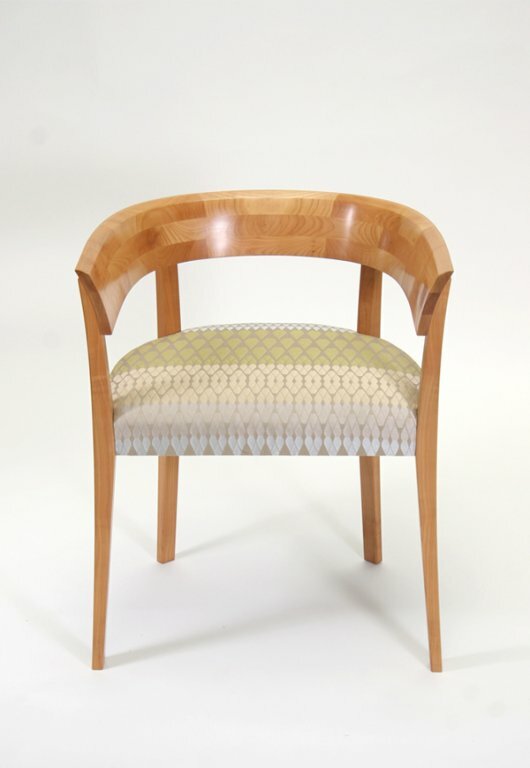 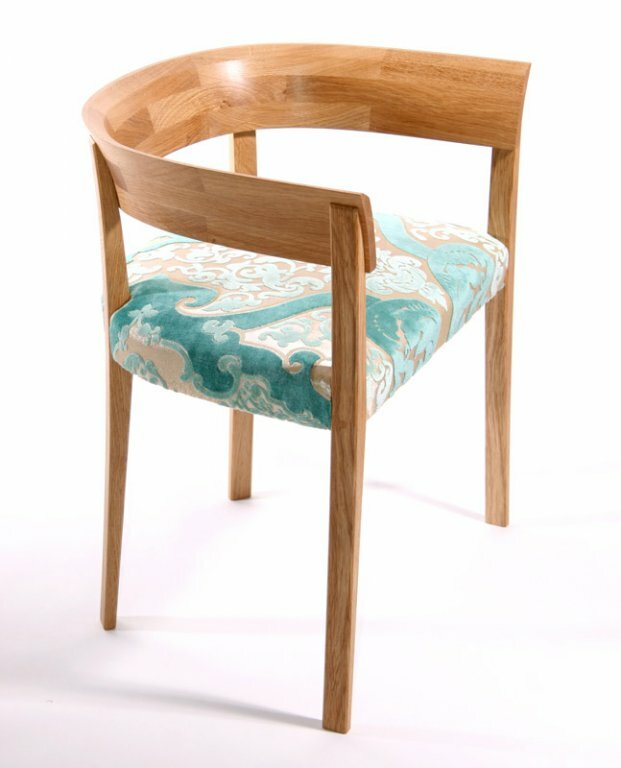 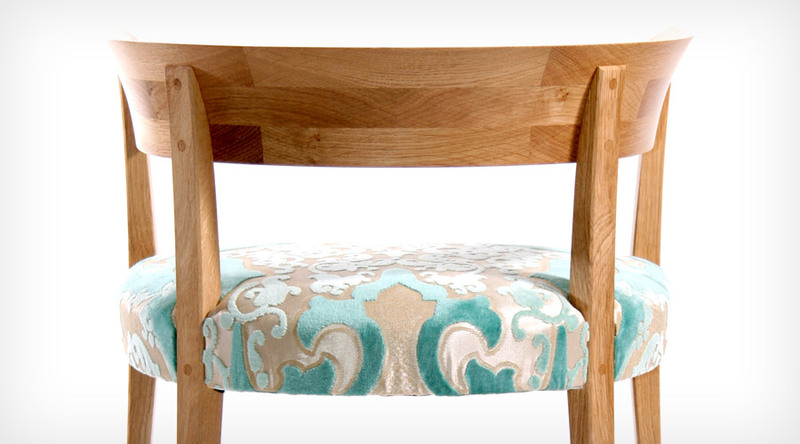 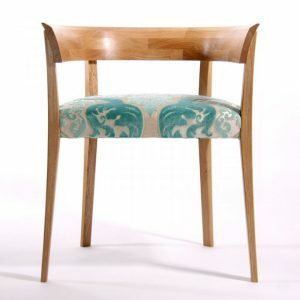 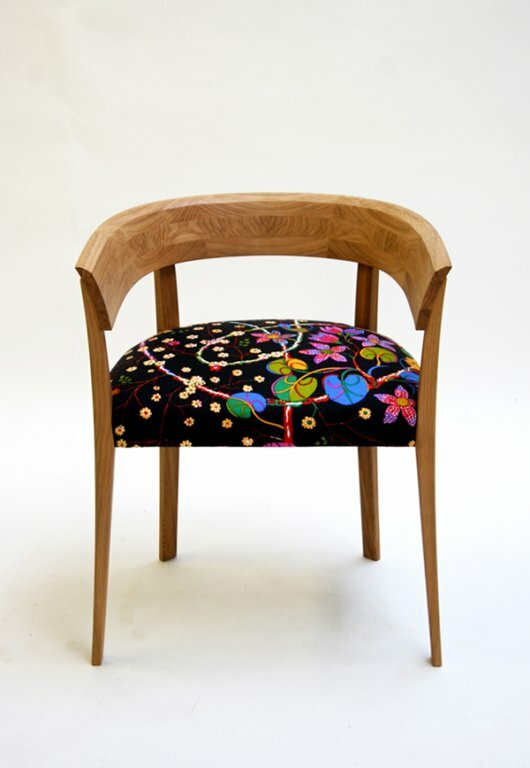 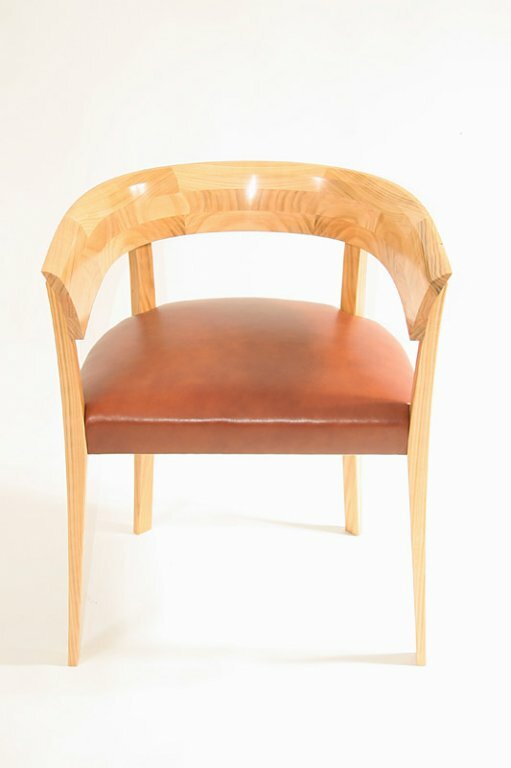 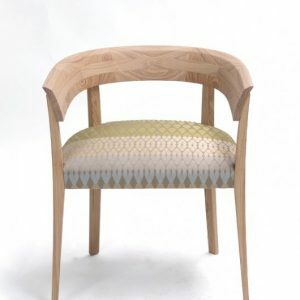 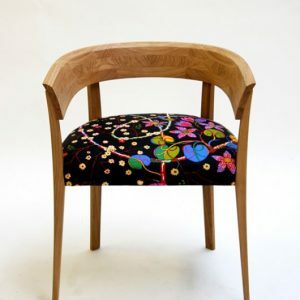 I have since made Alice chairs for various clients, often in oak. 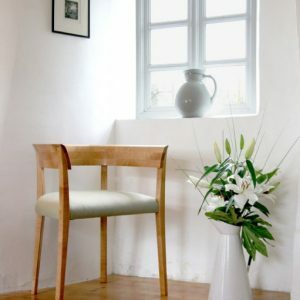 The back ‘hoop’ is brick built out of solid wood and then shaped. 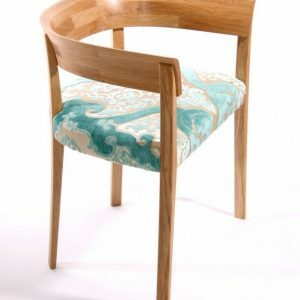 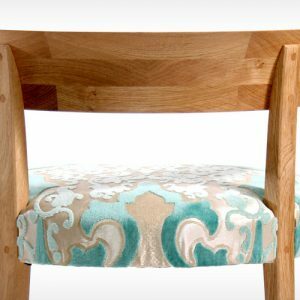 Materials: Made in various woods and traditionally upholstered. 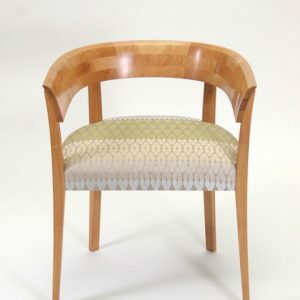 Finish: The wood is finished with shellac and wax or oil.